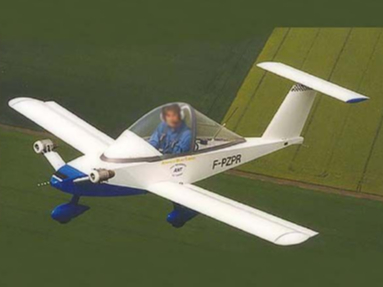 It was in 1971, when aircraft designer Michel Colomban started work on this small aircraft with two engines. His target was to build small, economis plane with two engines, which would be able to flying also some aerobatic maneuvers. Price of this plane should not exceed 1000 USD, including two engines - these prises are from 1970, of course:-). Constructional works took around 1500 working hours, and than was Cri-Cri plane, which name is after nickname of Michels daughter, prepared for its first flight.